Terry with his awesome acrylic surf-scapes! The local crew showed up for art and beers! Longboard extraordinaire Bianca Valenti and me! 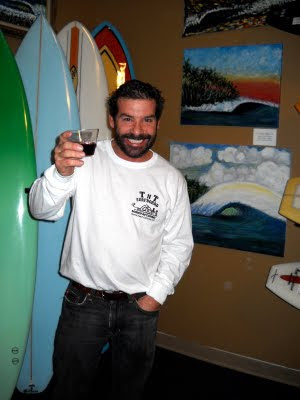 The new TnT Surfshop in Imperial Beach hosted an awesome night of art, wine and good times for their holiday surf art exhibit. 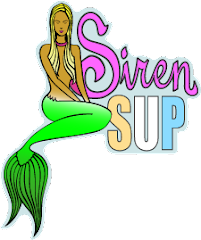 The art of local surf legend and 5x US Longboard Champion Terry Gillard, glass artist Orlando Sherwood(has made the trophies for Vans Triple Crown of Surfing), and surf photographer Cat Slatinsky was debuted on Friday December 13 for the local IB surf community. Amongst the who's who were pro ripper Kyle Knox, Wildcoast's Serge Dedina, pro longboarder Bianca Valenti and local legends Mike and Christine Gillard just to name a few. Thanks to all who stopped by to support these awesome artists and we look forward to seeing you all at the next exhibit.